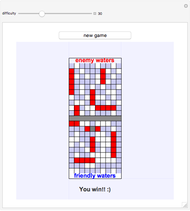 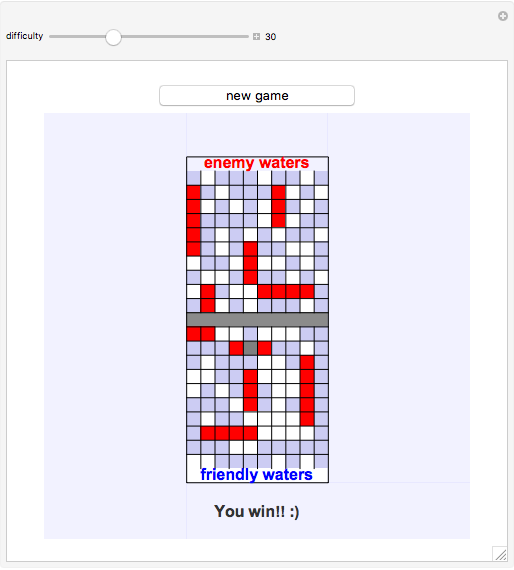 The Torpedo Game is a Mathematica implementation of the popular board game Battleship. 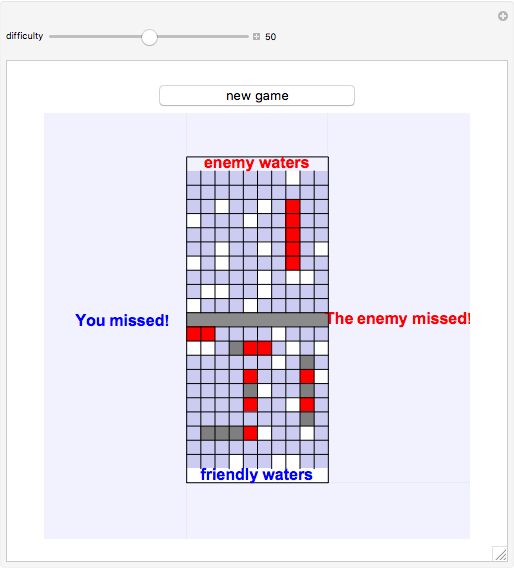 Both you and the enemy (an NPC or non-person character, the automated opponent in the program) first place five ships of lengths 2, 3, 3, 4, and 5 on their side of the board; neither player can see the other player's ships. 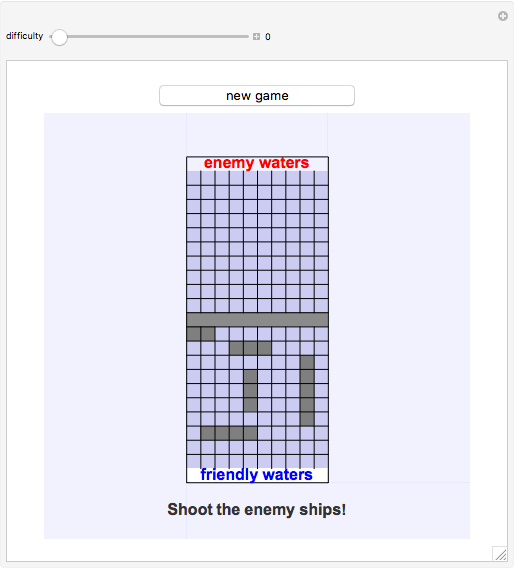 To place a ship, click the first square of the ship on the friendly waters side and then click an adjacent square. 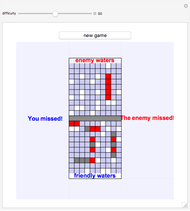 After the ships are all placed, click the other side of the board to try to hit and destroy each of the enemy's ships. 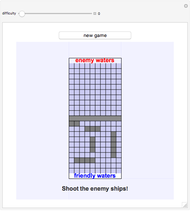 The goal of the game is to destroy all of the enemy's ships before the NPC destroys your ships.